Do you recall when verbena was just a seed annual available in bedding plant packs and flats? 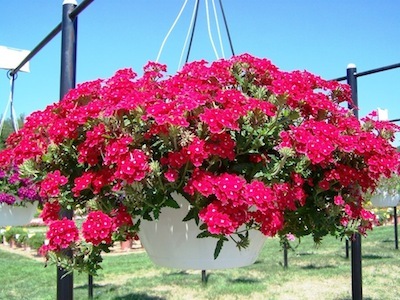 Today, they are one of the most essential vegetative annuals for hanging baskets, patio planters and vigorously filling out beds with carpets of color. 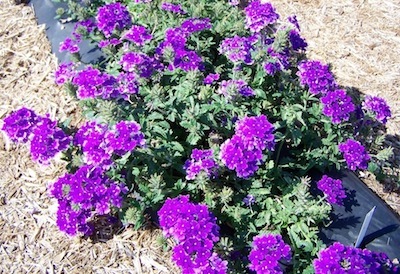 The first really popular vegetatively propagated verbena was 'Homestead Purple,' a canadensis type introduced by Allan Armitage at the University of Georgia (UGA) in the late 1980s. "Before 'Homestead Purple,' most of the verbenas were seed propagated and treated as commodity bedding plants," he says. "They were OK, but certainly the verbena market was not growing. There were a few vegetative forms out there, but they were weak and had little vigor." Twenty years later, Temari verbenas still hold their own against the competition in university trial gardens throughout the United States and Canada. Just last summer, Temari Blue, Cherry Red, Patio Hot Pink, and Patio Blue were all Prairie Star Winners at Kansas State University. ‘Temari Cherry Red’ was also recognized as one of the Top 15 plants overall at University of Guelph’s trials in Canada. 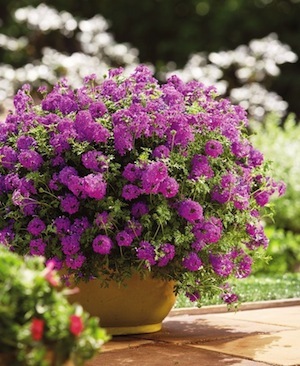 Try these top performers in your garden this spring and summer! About the author: Delilah Onofrey is director of Flower Power Marketing and supports Suntory Flowers' marketing efforts in North America. For 18 years she was an editor with Greenhouse Grower magazine, serving commercial flower growers.